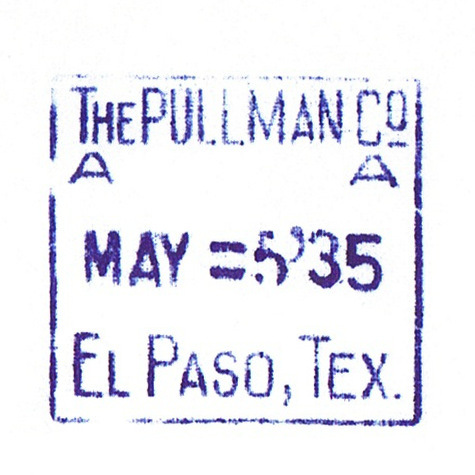 The Pullman Co. "A" - El Paso, Tex. Size 1.5" x 1.5" x .375"
Description El Paso, Tex. (TX) Position "A" Cosmo ticket dater die from The Pullman Company. Dater Dies used by Pullman are some of the most difficult to find and are considered very rare.